the newly launched plan divided into 1.5GB data per day. The plan also comes with unlimited voice calling benefit and 50 SMS per day for the entire validity period. This is a decent plan from the government-owned PSU as it offers benefits for 180 days. But the sad part is the plan has been implemented only in Andhra Pradesh & Telangana circle at the moment. All the BSNL prepaid customers in the said circle can recharge with this plan to enjoy the benefits. To recall, BSNL recently introduced the Rs 1,312 yearly prepaid plan in the same Andhra Pradesh & Telangana circle. BSNL Rs 899 Plan Launched: What it Offers? BSNL launched this plan on January 18, 2019, and it’s already available for recharge to all the prepaid subscribers of BSNL in the said circle. It offers unlimited voice calls to any operator in the country, but if you’re in Mumbai and Delhi circles, you won’t be able to enjoy the unlimited calling benefit as the standard tariff rates will be applicable. The reason is BSNL is not operating in Delhi and Mumbai telecom circles as another state-run telco MTNL is serving consumers in those two circles. The plan also offers 1.5GB data per day which results in a total of 270GB data for 180 days. Lastly, BSNL is also providing 50 SMS per day for the entire validity period. BSNL also has an Additional Data offer running currently as part of which some prepaid STVs are eligible for additional 2.21GB data per day. 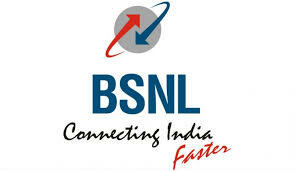 As of now, it’s unknown whether the new launched Rs 899 prepaid plan comes under the Additional Data offer of BSNL. If it falls under the offer, the Rs 899 prepaid recharge from BSNL offers 3.71GB data per day for 180 days.